Made since the Middle Ages, this firm textured, creamy cheese has a distinctive cylinder shape and a mild, fruity flavour. The word 'Fourme' has ancient roots, coming from the Greek, 'phormos' and then the Latin 'forma' or 'formaticus' which could loosely be translated into old French as 'forme' meaning a receptacle containing curds. This is the route of 'fromage' but has over the years evolved to signify a container or utensil used in the making of cheese, and also a cheese originating from a specific geographical area. Fourme D'Ambert has evidently been in existence from an early age, with legends existing from the 8th century which attest to its consumption. It was originally made in the 'jasseries', a collection of buildings where people lived, kept their animals and made cheese. These traditional dwellings surrounded the mountains of the Haut-Forez and comprised a hayloft, stable and living area where the cheese was also made. At the beginning of the 20th century, facing the decline in production of the cheese on the summer mountain pasture of Forez, the dairies moved to the Eastern side of the mounts of Forez and by 1950 there were around 15 dairies collecting milk from this small area to make the cheese. Production then quickly spread further afield, outside the mounts of Forez, to regions including Cantal, Dore and Balbigny. Fourme D'Ambert obtained a Protected Designation of Origin (PDO) in 1972 and has since then been subject to specifications in its production. These include the fact that the cows producing the milk must be put out to pasture and grass should form the basis of their diet, being sourced from the region within the area of its designation. To make the cheese, milk is collected from the designated farms every two days and then put into a vat where it is kept overnight before being heated to 32 degrees. The blue moulds (Penicillin Roqueforti), the starter culture and rennet are added to curdle the milk and then this is cut by a master cheesemaker and stirred for more than one hour to help the separation of the curds and the whey. Whilst being stirred, the mixture forms a fine skin, called the cap, which protects the tender nature of the curd. During this process, little gaps form between the curds thanks to the firmness of the 'cap' which stops the curds sticking together completely. They are then placed into moulds which are stored in a warmer room and turned several times over 24 hours to enhance the drainage. Once drained, the cheeses are salted by hand with fine salt, or immersed in brine for several hours, and then moved to a ventilated room for two days. After this time, the cheeses are then pricked with large needles in order to create air holes to let in the oxygen and spread the blue mould veins. The cheeses are then matured for at least 28 days to develop their softness and fragrance, in which time the rind forms and the blue veining spreads to the heart of the cheese. 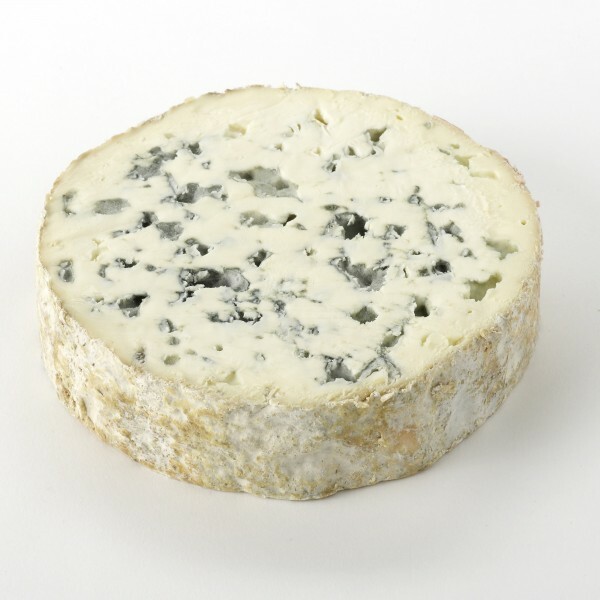 Fourme D'Ambert has a creamy white interior with dark greeny blue veining. It is moist in texture with a savoury taste that is tangy with a touch of sweetness. Our Monbazillac is a perfect match for Fourme D Ambert. Paxton & Whitfield’s exclusive new Prune and Hazelnut preserve has been handmade in the French Pyrenees by an artisan producer.